The TCEC group will host an informational coffee with predetermined discussion topics (as listed in the schedule below). These meetings will foster communication between ITD environmental staff and consultants working on (or potentially working on) ITD projects. It is a way for the environmental professionals at ITD, Federal Highway Administration (FHWA), Ada County Highway District, Local Highway Technical Assistance Council, Army Corps of Engineers, and other partnering agencies to give updates on policies, regulations, processes, issues, statutes, work plans, etc. Participants should bring discussion items related to the topic. Coffee and snacks will be supplied by presenters. Time: 8:30 – 10:30 a.m. | Meeting start time at 9:00 a.m.
discuss how to handle state-funded and “non-reporting” nationwide permits. To learn more about the Environmental Process or for specific questions, please go to the ITD Environmental Process Manual. There are more than 40 federal and state environmental laws that affect transportation decisions. A unifying federal environmental law is the National Environmental Policy Act of 1969 (NEPA), which provides a framework for addressing the various environmental statutes, regulation and policies. NEPA is a procedural statute (40 CFR sec 1500) for decision-making during federal projects to assure analysis of social, economic and ecological impacts. ITD is required to provide a NEPA document for projects that are federally funded through the Federal Highway Administration (FHWA). 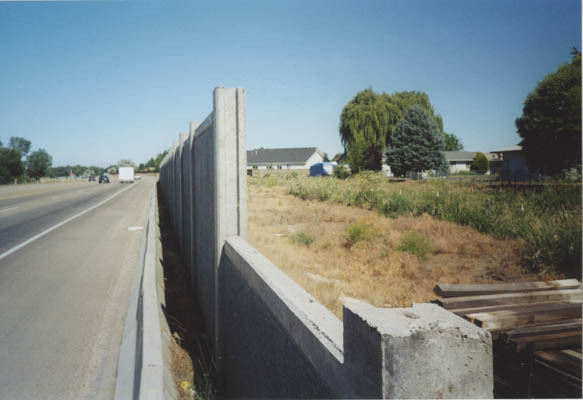 Environmental Evaluation (EE) or Categorical Exclusion (CE) – is an ITD document approved either in-house or by the Idaho Division of FHWA that can be categorically excluded from further analysis. Cultural resources are the physical evidence or place of past human activity. They can include everything from archaeological sites to buildings, bridges, and canals to landscapes and places of traditional religious and cultural importance. ITD seeks to avoid, minimize, or mitigate adverse impacts to historically significant cultural resources. The ITD Cultural Resources Program ensures all ITD projects are in compliance with state and federal cultural resource protection laws. ITD projects with federal funding, permitting, or land are required by Section 106 of the National Historic Preservation Act of 1966, and implementing regulations 36 CFR 800 to take into account the effects of project actions on historic properties. During this process ITD Cultural Resources staff define the Area of Potential Effect, make a good and reasonable faith effort to identify historic properties within that area, and assess any potential effects of the project on those properties. This process is completed in consultation with the Idaho State Historic Preservation Officer (SHPO), Tribal Historic Preservation Officers (THPO), Native American Tribes, local historic preservation commissions, and other interested parties. For more information on the ITD Section 106 process, please refer to the Cultural Resources chapter of the Environmental Procedures Manual. Those ITD projects with funding or approval from the Federal Highway Administration must also meet requirements of Section 4(f) of the Department of Transportation Act of 1966. Please see the Section 4(f) chapter of the Environmental Procedures Manual for more information on this process. Archaeology is the study of past human activity through the recovery and analysis of material culture. The archaeological record consists of artifacts, ecofacts, features, and cultural landscapes which have been used by people of the pasts. 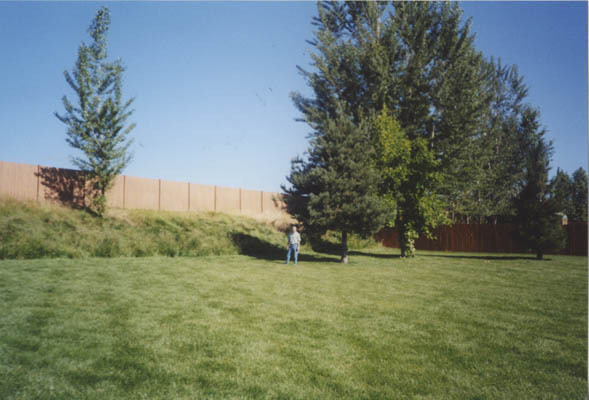 Once an archaeological site has been identified, archaeologists use the National Register of Historic Places criteria to determine if it the property has historic significance and can still convey it. 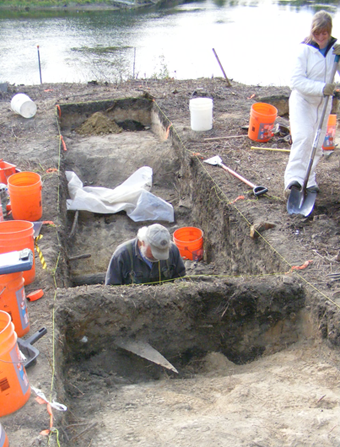 Archaeologists determine if the property is associated with an important historic event or if it can yield more information about the past. Archaeologists complete a detailed recording of the site, document the site using photography and sketch maps, and conduct in-depth analysis of any artifacts, ecofacts, and features that are present to better understand how these were used by people of the past. ITD uses archaeologists to document sites that might be impacted by projects, determine if they have significance, and assess what impacts project actions might have on those properties. 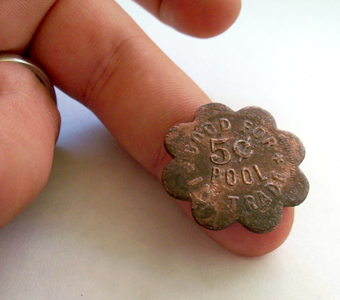 ITD receives Award of Merit from the Society for Historical Archaeology. Once an architectural resource has been identified, architectural historians use the National Register of Historic Places criteria to determine if it the property has historic significance and still has the physical features necessary to convey that significance. Usually these properties are at least fifty years old. Architectural historians determine if the property is associated with an important historic event or person; has a distinctive design, style, or construction; or if it can yield more information on the past. They also ask if the location, design, setting, materials, workmanship, association, and feeling of the property helps that property convey its significance to the general public. Architectural historians complete detailed written descriptions of the property, document the property using photography and sketch maps, and conduct in-depth archival research to better understand the local, state, or national significance of the property. ITD employs architectural historians to document properties that might be impacted by projects, determine if they have significance, and assess what impacts project actions might have on those properties. In 2008, ITD was awarded the Excellence in Historic Preservation award from Preservation Idaho for their work on the Idaho 55 Rainbow Bridge. Idaho is a geographically, economically, and culturally diverse state. Our transportation system represents the shared history that helps to unite us. ITD has worked with Consultants and local communities to prepare informative publications and resources about transportation history in the Gem State. Marsing Oral History Project | “No Bridge, No Town” Oral Histories on the Historic Snake River Bridge and the Town of Marsing: Agreed upon as an appropriate mitigation for the adverse effect to the historic Snake River Bridge near Marsing, Idaho, these interviews were conducted by the Owyhee County Historic Preservation Commission to preserve both the history of the bridge and life in early twentieth century Marsing. Idaho Transportation Photo Collection: This collection of over 30,000 images documents the rich history of transportation and infrastructure development in Idaho. The online, searchable database is free to the public. Idaho’s Highway History 1863-1975: Written in 1985 this document provides a brief synopsis of transportation in Idaho, including the history of the Idaho Transportation Department. Research Guide on Snake River Ferries: This document captures the history of ferry crossings and pioneer travel throughout Idaho’s Snake River region, including links to additional research materials on ferry crossings. 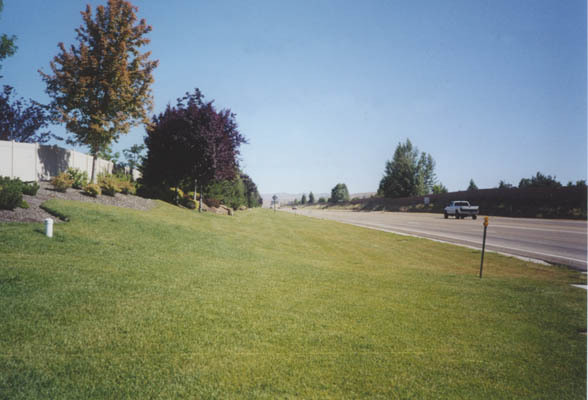 US-95, Meadows Valley Transportation Corridor: Learn about the history of transportation routes and modes connecting Meadows Valley to Riggins. Steel Bridges in Eastern Idaho: Once commonplace but now rare, steel bridges in eastern Idaho heavily influenced the development and settlement of the region. History of Grace Dam Power Plant: One of three hydroelectric power plants in Caribou County, the Grace Dam Complex – including the dam, power plants, and penstocks – was built in 1906 and is still operational today, providing power to southern Idaho and northern Utah. From Forest to Field – Agriculture in Bonner County: Developed as mitigation for the adverse effect to a farmstead, this document is a detailed look at the agricultural industry in Bonner County. Visit the Bonner County History Museum to see this material on exhibit. ITD has also worked with local communities and historians to develop and install interpretative panels throughout the state. Here are some you can see during your travels. Located about a half mile north of Grace, Caribou County, Idaho just on State Highway 34, are a handful of interpretive signs on the history of the Grace Dam Power Plant. Two, developed by ITD and the Local Highway Technical Assistance Council, share the history of the Turner Road Penstock Bridge and L.L. Nunn, the builder of the Grace Dam Power Plant. 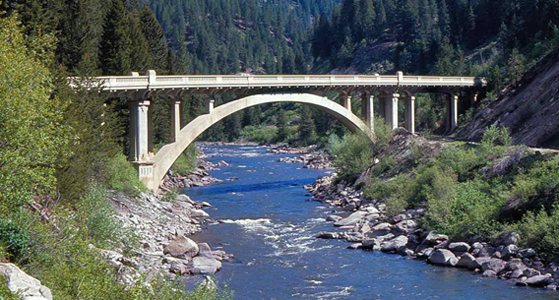 Located at the Rotary Park in McCall, Valley County, Idaho off of State Highway 55, are two signs about the history of the Lardo Bridge Crossing and Charles A. Kyle, one of Idaho’s most influential bridge engineers. Located on the south remnant of the Kootenai River Bridge in Bonners Ferry is an interpretive sign on Kootenai River crossings. Also in Bonners Ferry, installed near Bonners Ferry City Hall and in the vicinity of the Fairbanks Morris Generator, are two signs on the history of power and electricity in the region. Located along the Boise Greenbelt near Broadway Bridge in Boise, Ada County are multiple interpretive panels telling the history of crossing the Boise River and how it has impacted development and settlement. Thank you to the Boise City Department of Arts & History for providing these images. Located at the intersection of Railroad Avenue and Bridge Street in Sandpoint, Bonner County, are two signs documenting the history of the Northern Pacific Railroad in northern Idaho and its impact on the community of Sandpoint. 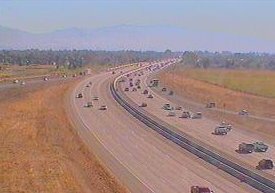 Air Quality impacts are evaluated for all Idaho Transportation Department (ITD) federally funded transportation projects to determine if the project will cause or contribute to a violation of National Ambient Air Quality Standards. ITD’s mission is to improve air quality by ensuring all ITD projects and operations comply with federal, state and local air quality laws and regulations, and by promoting strategies which reduce emissions of motor vehicle pollutants. The Idaho Transportation Department must conduct hazardous materials investigations for any property ITD owns, manages, plans to sell, or plans to purchase. If hazardous materials are found to be present on ITD property, federal and state environmental laws requires ITD to cleanup and properly dispose of all hazardous materials regardless of whether the original source is from ITD activities, from a tenant, or inherited when property is acquired. Traffic Noise is increased by heavier traffic volumes, higher speeds and a greater percentage of trucks. ITD environmental studies involving major highway improvements must analyze existing noise levels and predict future noise levels to determine noise impacts. All traffic noise studies prepared for ITD projects must adhere to procedures and requirements as established by federal law, Federal Highway Administration (FHWA) regulations, and ITD noise analysis guidelines. 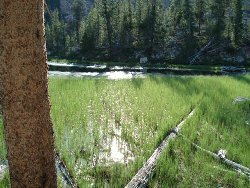 Wetlands generally include swamps, marshes, bogs, and similar areas that are saturated by surface or groundwater and supports vegetation adapted for life in saturated conditions. They provide important functions including groundwater recharge, erosion control, shoreline stabilization, and fish and wildlife food and habitat. ITD’s policy is to avoid any activities that adversely affect wetlands during the design, construction, and maintenance of transportation projects. Appropriate action is taken to minimize and mitigate impacts that cannot be avoided. 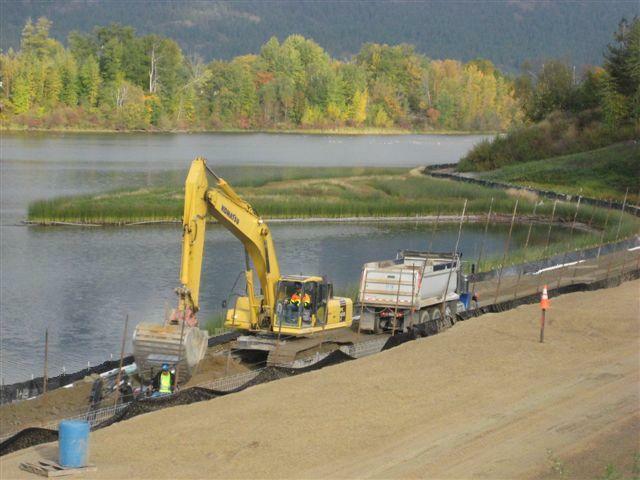 Section 404 Permit – Required for discharging, dredging, or placing fill material within “Waters of the US” including wetlands to prevent quality degradation and overall loss of wetlands. Administered by the US Army Corps of Engineers (USACE). The program examines highway impacts on species listed under the federal Endangered Species Act (ESA) and works with the Idaho Fish and Game, Fish and Wildlife Service (USFWS), Forest Service, Bureau of Land Management, and others for the purpose of preserving, protecting, and enhancing the state’s natural resources while operating, maintaining, and improving the state’s transportation system. The Cooperative Agreement with ITD, FHWA and USFWS for Biological Evaluations/Assessments is found in the ITD Environmental Process Manual. Go to the end of the Table of Contents links for Section 300 and find Exhibit 300-6, Programmatic Agreement. Wildlife Crossing Database is an innovative tool that identifies the proximity of wildlife safety hazards. 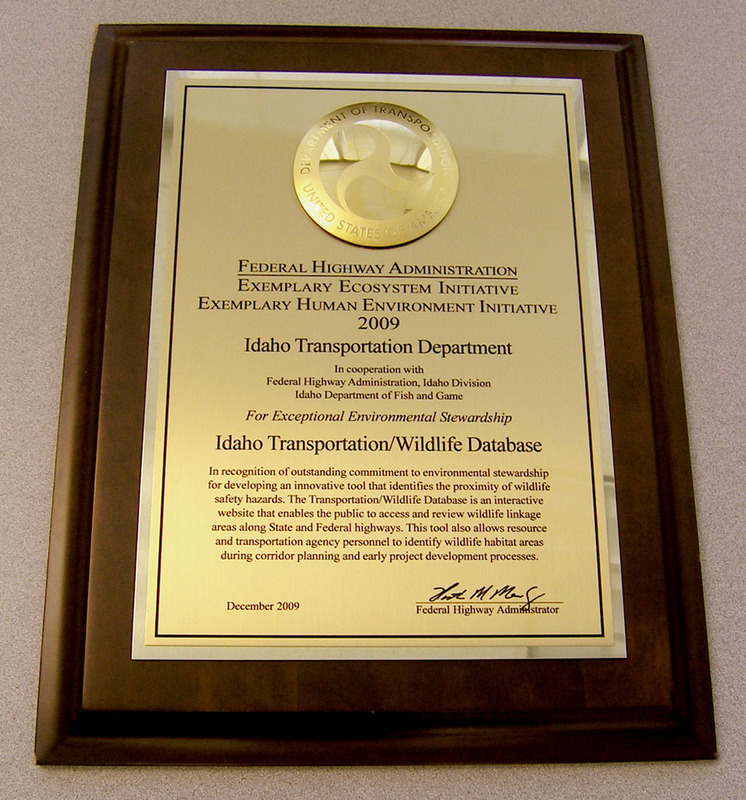 This tool was honored as the 2009 recipient of the Exemplary Ecosystem and Exemplary Human Environment Initiatives presented by the Federal Highway Administration. For more road ecology information, please see the FHWA Wildlife Crossing Guide. This document prepared by the Western Transportation Institute is a handbook for design and evaluation of wildlife crossing systems in North America. Stormwater means stormwater runoff, snow melt runoff, surface runoff and drainage. 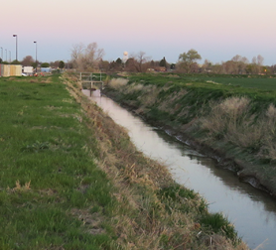 Stormwater runoff may pick up and transport sediment, oil, and other pollutants. If not managed properly these pollutants can affect the quality of surface waters making them unsafe for drinking, fishing, swimming, or other activities. In 1972, Congress passed the Federal Water Pollution Control Act Amendments “to restore and maintain the chemical, physical, and biological integrity” of the Nation’s waters. The Clean Water Act (CWA) is a 1977 amendment to the Federal Water Pollution Control Act of 1972. 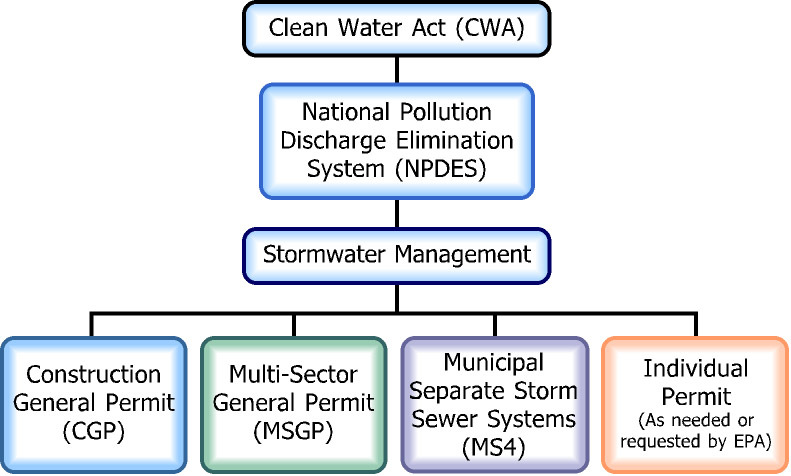 The CWA set the basic structure for regulating discharges of pollutants to waters of the U.S.
Construction General Permit (CGP) – Construction activities that disturb greater than one acre of land and have the potential to discharge stormwater to a waters of the U.S.
Municipal Separate Storm Sewer Systems (MS4)- Stormwater drainage from roads or property that drain into stormwater conveyance systems owned by the state, a city, a town, a village, a public university, a public hospital, a military base, a correctional facility or other public entity that discharges to waters of the U.S.
Multi-Sector General Permit (MSGP)- Industrial activities that have the potential to discharge stormwater to a waters of the U.S., including sand and gravel mining. All EPA covered industrial activities are listed in Appendix D of the MSGP. The following forms are located on ITD’s Form Finder web page. • Use the numbers below to search and download the current ITD Form. ITD projects with NPDES CGP coverage require an Inspector with current ITD Environmental Inspection Training and a Contractor representative inspector with current ITD-approved Water Pollution Control Manager Training. ITD requires all Contractors to designate a Water Pollution Control Manager (WPCM). The WPCM must attend an ITD certified 16 hour stormwater management training course. This course has been developed to align with the 2017 CGP. Offerings are available at the following link. If your ITD Inspector Qualification for the NPDES Stormwater was obtained under the 2012 EPA CGP through WPCM reciprocity, it was only valid through the length of the 2012 CGP as stated on the ITD Inspector certificate of completion. ITD is requiring all individuals who want to maintain their Inspector certification to receive training on the 2017 permit. To do so, an individual holding an existing WPCM certificate of completion may choose one of two options as explained in the NPDES Requalification document. This course is the Stormwater Management training for Construction Engineers and their management and inspection staff, as well as maintenence staff. This course is the Stormwater Management training for Project Development, Design Engineers and their support staff. In some cases ITD is listed as a co-permittee with local municipalities that share or are connected to the same MS4 conveyance system. Annual reporting is required for MS4 permit holders. Contact Wendy Terlizzi to request any supporting documentation. HQ Office – Boise on State St. The District staff has knowledge in a broad range of areas including environmental analysis, threatened and endangered species, traffic noise, air quality, stormwater, wetlands mitigation, and permitting. They work directly with local, state, and federal agencies, along with the public in avoiding or minimizing project impacts. 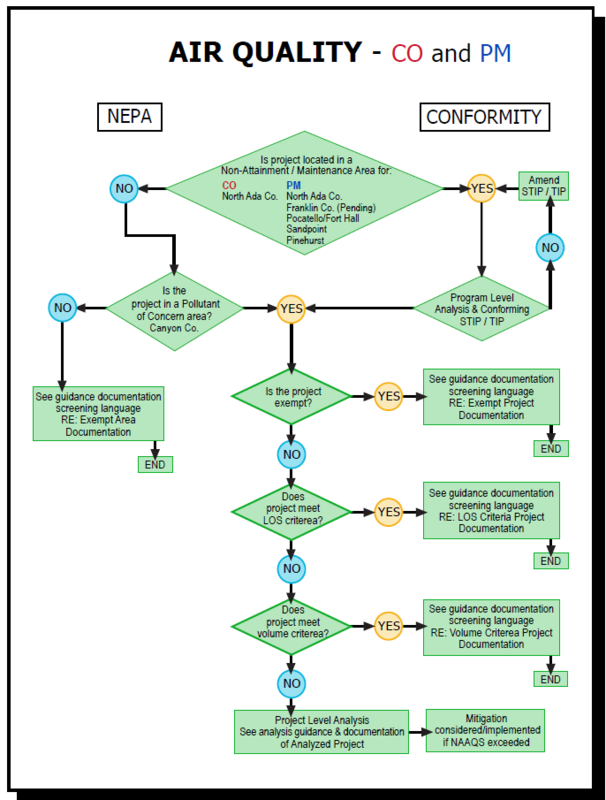 The planners prepare and coordinate environmental documents in compliance with NEPA. Below are the Environmental specialists located at the six districts of the Idaho Transportation Department (ITD). 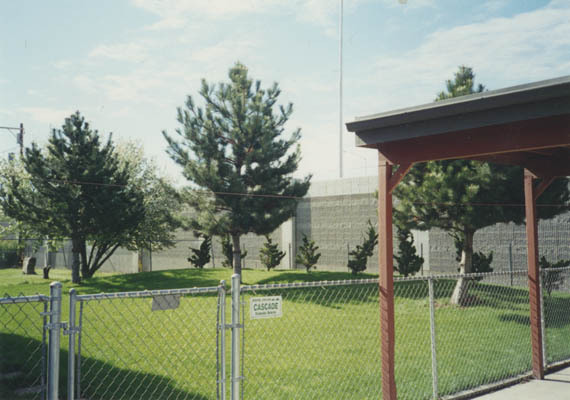 District 3 – Boise Office on Chinden Blvd.